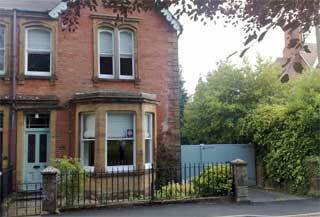 29 Bed & Breakfast is a tremendous, affordable lodging option in Yeovil town centre. Five-star service and heaps of little extras. This pert yet cheery bed and breakfast regularly attracts great reviews on TripAdvisor. It's friendly, the service is great and if you are making the long-trek to or from Cornwall and Devon, it's enjoys a terrific location off the A303 with much to see and do in the area. You're not stuck for bars and restaurants that's for sure. A Tesco Extra can be found just around the corner off Queensway and there's also the attractive Sydney Gardens at the rear of the hotel in the event you want to stretch your legs. The rooms are a neat and roomy proposition and the Blue Room has a deep roll bath that will have waterbabes in seventh heaven. There are numerous little touches that are worthy of mention: the mini-bar fridge and microwave, the tasteful, quality furniture and crisp linen sheets on the beds. This is a first-class bed and breakfast guest house in every respect. Call the owners on 01935 420046 to check availability and more details.